Create glittering gemstone accents in your jewelry designs with these Dakota Stones beads. These tiny beads take on a classic bicone shape with beautiful facets that shine from every angle. You'll love the way they catch the eye in your projects. Use these small beauties as spacers between bigger beads or alongside seed beads. Amethyst is the official birthstone of February. It forms in silica-rich liquids deposited in geodes and is generally found in clusters of crystal points. Metaphysical Properties: This stone's name is derived from the Greek word "amethystos", meaning "not drunken." People of ancient times believed it to protect the wearer from drunkenness. Today, this gemstone is believed to promote happiness. Colorful gemstone style can be yours with these Dakota Stones beads. The puff coin shape is wonderfully versatile. You can use these beads as an accent to lend extra color or dimension to a statement piece or you can use them as substitutes for rounds in simple strung and knotted designs. They also work as focal elements in a structured piece of bead weaving. Mexican crazy lace agate is normally an opaque white gemstone with swirling patterns, but these beads are color enhanced to emphasize these beautiful patterns. Color enhancing is common amongst agates to make them fashionably relevant. Metaphysical Properties: Often called the happy stone, crazy lace agate promotes laughter and optimism. Because gemstones are natural materials, appearances may vary from piece to piece. Each strand includes approximately 25 beads. Playful gemstone style fills these Dakota Stones beads. The puff coin shape is wonderfully versatile. You can use these beads as an accent to lend extra color or dimension to a statement piece or you can use them as substitutes for rounds in simple strung and knotted designs. They also work as focal elements in a structured piece of bead weaving. Mexican crazy lace agate is normally an opaque white gemstone with swirling patterns, but these beads are color enhanced to emphasize these beautiful patterns. Color enhancing is common amongst agates to make them fashionably relevant. Metaphysical Properties: Often called the happy stone, crazy lace agate promotes laughter and optimism. Add some purple fun to jewelry designs with these Dakota Stones beads. These gemstone beads are perfectly round in shape and feature a small size. Use them as spacers between larger beads or as hints of color. They will work in necklaces, bracelets, and even earrings. Mexican crazy lace agate is normally an opaque white gemstone with swirling patterns, but these beads are color enhanced to emphasize these beautiful patterns. Color enhancing is common among agates to make them fashionably relevant. Metaphysical Properties: Often called the happy stone, crazy lace agate promotes laughter and optimism. For a regal display, add these Dakota Stones amethyst beads to your designs. These small gemstone beads feature a circular shape with a puffed edge and a checkerboard faceted face. The surface catches the light in a multitude of directions. The stringing hole is wide enough to use with 20 gauge wire. Use these small beads as accents of color and shine in all kinds of jewelry projects. They feature deep purple color. Amethyst is the official birthstone of February. Metaphysical Properties: This stone's name is derived from the Greek word amethystos, meaning "not drunken." People of ancient times believed it to protect the wearer from drunkenness. Today, this gemstone is believed to promote happiness. Because gemstones are natural materials, appearances may vary from piece to piece. Each strand includes approximately 99 beads. Keep your style sophisticated with these Dakota Stones purple garnet beads. These small gemstone beads feature a circular shape with a puffed edge and a checkerboard faceted face. The surface catches the light in a multitude of directions. The stringing hole is wide enough to use with 20 gauge wire. Use these small beads as accents of color and shine in all kinds of jewelry projects. They feature a deep wine purple color. Metaphysical Properties: Garnet is said to be a stone that utilizes creative energy. Bring unforgettable color to designs with these Dakota Stones purple bronzite impression jasper beads. They display swirling purple, brown, cream, and deep bronze colors. These beads are perfectly round in shape, so they will work in a variety of styles. They are also versatile in size, so you can use them in all kinds of projects, from necklaces and bracelets to earrings, too. Pair them with matching pendant sets from Dakota Stones. Because gemstones are natural materials, appearances may vary from bead to bead. Please note that these beads are composite, stone fragments bound together by resin, heat, and pressure. Each strand includes approximately 68 beads. Amazing color fills these Dakota Stones purple bronzite impression jasper beads. They display swirls of purple, cream, and deep bronze colors. These beads are perfectly round in shape, so they will work in a variety of styles. They are small in size, so you can use them as spacers between larger beads. They will make wonderful pops of color for necklaces, bracelets, and earrings. Pair them with matching pendant sets from Dakota Stones. Because gemstones are natural materials, appearances may vary from bead to bead. Please note that these beads are composite, stone fragments bound together by resin, heat, and pressure. Each strand includes approximately 100 beads. Outstanding style fills these Dakota Stones gemstone beads. These druzy beads are round in shape, so they're a classic choice for many styles. They feature a faceted surface, giving each bead more gleam and glamour. Most of the beads feature open crevices that reveal the sparkling druzy within. Druzy is a coating of fine crystals on a rock fractured surface, vein, or within a geode, like in these beads. They display deep purple color that glitters and gleams from every angle. These beads are versatile in size, so you can use them in necklaces, bracelets, and earrings. You can create a magical look with these Dakota Stones gemstone beads. These druzy beads are round in shape, so they're a classic choice for many styles. They feature a faceted surface, giving each bead more gleam and glamour. Most of the beads feature open crevices that reveal the sparkling druzy within. Druzy is a coating of fine crystals on a rock fractured surface, vein, or within a geode, like in these beads. They feature deep and regal purple color that glitters and gleams wonderfully. These beads are the perfect size for matching necklace and bracelet sets. You'll love the regal look of these Dakota Stones purple bronzite impression jasper beads. They feature swirling purple, brown, cream, and gleaming bronze colors. These beads are perfectly round in shape, so they will work in a variety of styles. They are the perfect size for matching jewelry sets, so feel free to use them in necklaces, bracelets, and earrings. Pair them with matching pendant sets from Dakota Stones. Because gemstones are natural materials, appearances may vary from bead to bead. Please note that these beads are composite, stone fragments bound together by resin, heat, and pressure. Each strand includes approximately 48 beads. Add enticing color to designs with these Dakota Stones beads. These gemstone beads feature a round shape with a star cut filled with triangular facets. You'll love using these beads in matching necklace and bracelet sets. These beads feature purple color swirled with banded patterns of burgundy and black. Mexican crazy lace agate is normally an opaque white gemstone with swirling patterns, but these beads are color enhanced to emphasize these beautiful patterns. Color enhancing is common among agates to make them fashionably relevant. Metaphysical Properties: Often called the happy stone, crazy lace agate promotes laughter and optimism. Because gemstones are natural materials, appearances may vary from piece to piece. Each strand includes approximately 50 beads. Put sweet and shining touches on your style with these Dakota Stones lavender amethyst beads. These gemstone beads feature a round shape with a star cut filled with triangular facets. You'll love using these versatile beads in necklaces, bracelets, and even earrings. These beads feature a pale purple color full of graceful elegance. Metaphysical Properties: People of ancient times believed amethyst to protect the wearer from drunkenness. Today, this gemstone is believed to promote happiness. Because gemstones are natural materials, appearances may vary from piece to piece. Each strand includes approximately 63 beads. Our amethyst beads have nice, deep color, but may show natural inclusions. Add elegant color to designs with these Dakota Stones lavender amethyst beads. These gemstone beads feature a round shape with a star cut filled with triangular facets. You'll love using these beads in matching necklace and bracelet sets. These beads feature a pale purple color full of graceful elegance. Metaphysical Properties: People of ancient times believed amethyst to protect the wearer from drunkenness. Today, this gemstone is believed to promote happiness. Because gemstones are natural materials, appearances may vary from piece to piece. Each strand includes approximately 48 beads. Our amethyst beads have nice, deep color, but may show natural inclusions. You'll love the magical sparkle found within each of these Dakota Stones druzy beads. These druzy beads are round in shape, so they're a classic choice for many styles. They feature a faceted surface, giving each bead more gleam and glamour. Most of the beads feature open crevices that reveal the sparkling druzy within. Druzy is a coating of fine crystals on a rock fractured surface, vein, or within a geode, like in these beads. These beads are versatile in size, so use them in necklaces, bracelets, and earrings. They feature a shining rainbow of purple, blue, and gold colors. For a midnight gleam in designs, try these Dakota Stones druzy beads. These druzy beads are round in shape, so they're a classic choice for many styles. They feature a faceted surface, giving each bead more gleam and glamour. Most of the beads feature open crevices that reveal the sparkling druzy within. Druzy is a coating of fine crystals on a rock fractured surface, vein, or within a geode, like in these beads. These beads are versatile in size, so use them in necklaces, bracelets, and earrings. They feature a deep metallic blue shine. Bring a magical touch to designs with these Dakota Stones druzy beads. These druzy beads are round in shape, so they're a classic choice for many styles. They feature a faceted surface, giving each bead more gleam and glamour. Most of the beads feature open crevices that reveal the sparkling druzy within. Druzy is a coating of fine crystals on a rock fractured surface, vein, or within a geode, like in these beads. These beads are the perfect size for matching jewelry sets. Each bead features a magical metallic blue gleam. Use these Dakota Stones druzy beads to draw attention to designs. These druzy beads are round in shape, so they're a classic choice for many styles. They feature a faceted surface, giving each bead more gleam and glamour. Most of the beads feature open crevices that reveal the sparkling druzy within. Druzy is a coating of fine crystals on a rock fractured surface, vein, or within a geode, like in these beads. These beads are the perfect size for matching jewelry sets. 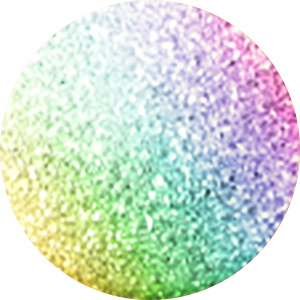 They display a metallic rainbow shine filled with green, blue, purple, and gold colors. For a rich touch of color in your designs, go for these Dakota Stones gemstone beads. These amethyst beads feature a round shape with a star cut filled with triangular facets. You'll love using these beads in matching necklace and bracelet sets. They feature deep purple color that will work well with gold, lush green, copper, and more. Amethyst is the official birthstone of February. Metaphysical Properties: This stone's name is derived from the Greek word amethystos, meaning "not drunken." People of ancient times believed it to protect the wearer from drunkenness. Today, this gemstone is believed to promote happiness. Because gemstones are natural materials, appearances may vary from piece to piece. Our amethyst beads have nice, deep color, but may show natural inclusions. Decorate styles with the many colors of these Dakota Stones beads. These tourmaline beads feature a round shape with a star cut filled with triangular facets. The facets gleam from every angle, so they are sure to draw attention to designs. They are versatile in size, so you can use them in necklaces, bracelets, and even earrings. These beads feature a variety of colors, from pink and dark green, to ivory, brown, and gray. Pair them with lush greens for a spring theme, warm them up with copper elements, or make them pop by contrasting them with black. Give your designs a rich gleam with these Dakota Stones gemstones. These amethyst beads feature a round shape with a star cut filled with triangular facets. You'll love using these versatile beads in necklaces, bracelets, and earrings. They deep purple color is a regal touch anywhere. Amethyst is the official birthstone of February. Metaphysical Properties: This stone's name is derived from the Greek word amethystos, meaning "not drunken." People of ancient times believed it to protect the wearer from drunkenness. Today, this gemstone is believed to promote happiness. You'll love creating new looks with these Dakota Stones tourmaline beads. These gemstone beads feature a round shape with a star cut filled with triangular facets. The facets gleam from every angle, so they are sure to draw attention to designs. You can easily use these beads in matching necklace and bracelet sets. These beads feature a variety of colors, from dark pink and forest green, to ivory, brown, and gray. Try them with dark earth tones for a fall look, warm them up with copper elements, and more. Because gemstones are natural materials, appearances may vary from piece to piece. Each strand includes approximately 135-178 beads. Our amethyst beads have nice, deep color, but may show natural inclusions.